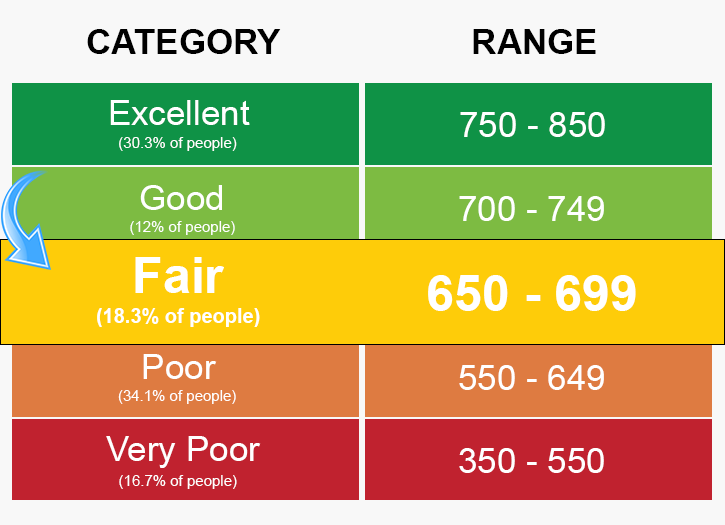 A credit score is a 3 digit numeric summary of your financial history prepared by CIBIL (Credit Information Bureau (India) Limited) – the first credit information company in India. It scrutinizes your loan and credit card payment history, based on the information provided by the bank each month to determine your credit score. Ideally, a credit score ranges from 300 to 900 and individuals with a credit score of 750 and above are most preferred borrowers for bank loan. 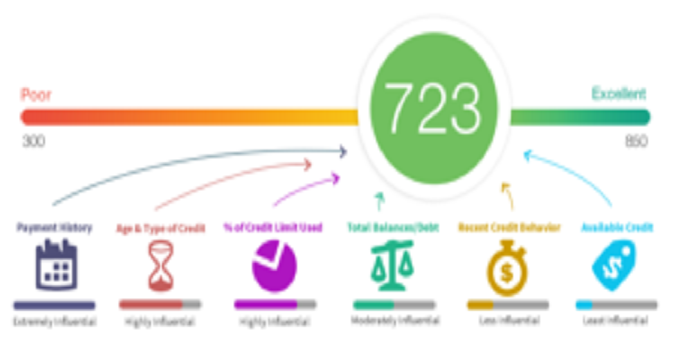 If you have a score that is lower than this then you will want to find out how to raise credit score fast so you don’t suffer when looking for a bank loan. To check your credit score online, you can visit CIBIL’s and financegab official website. The process requires you to first log on to the website to fill out and submit the CIBIL score request form. The process is simple, convenient and can be completed in a minute’s time. To get your CIBIL score and report, you may also have to pay a minimal fee of Rs. 550/-. To begin with the process, the first thing that you need to do is to fill out the online application form by providing some basic details such as your name, DOB, phone number, address, proof of income, identity proof and address proof. After filling out these details, submit the form after which you will be directed to a page wherein you can proceed to make payment. The fee charged for this process is around Rs. 550. You can make payment either by using your credit or debit card or via net banking facility, whichever seems suitable to you. Once the payment is successful, you will have to submit a few verification details based on which you will get your credit score report on your mail ID within 24 hours. Checking your credit score online is very quick and simple process. You must check your credit score every often to keep a tab on your financial health. In case the credit score is poor, you can take several steps to make it good. In case online mode doesn’t seem suitable to you, you can also submit the form offline to the CIBIL’s address along with a copy of your proof of identity and address. Upon receiving these documents, the CIBIL will verify these documents and will send you a printed copy of your credit report to the address mentioned in your address proof. On word of advice: You must always check your credit score personally instead of getting it done by the bank/financial institution to keep a track of your credit performance. Seeking help from banks and other financial institutions to find out your credit score will adversely affect your score as well as your reputation. Pay all outstanding dues on time. Review credit report regularly to check the status of payment on the report. One should never apply for more loans or credit cards until the previous debt is paid in full. One should always check credit card bills and loan EMIs every often to streamline expenses and reduce unnecessary transactions. One should never hold up EMI’s or credit card bills for future. A person with a good credit score can easily get a loan at competitive interest rates. Anyone with poor credit score may get the loan but on higher interest rates that would translate to higher EMI’s. This is not the case with those having good credit score. A credit score also determines whether you are eligible for the new credit card or loan to finance your education, buy a new home/car, or even to start a new business. Thank you for this article. I would also like to mention that it can often be hard when you are in school and simply starting out to establish a long credit history. There are many students who are simply just trying to survive and have an extended or beneficial credit history is often a difficult matter to have. it’s fastidious to read this webpage, and I used to pay a visit this blog everyday. Hey, Thank you for taking the time to write this. I have to start blogging again soon. thing like this before. So nice to discover another person with some genuine thoughts on this issue.